Step 3. You will see the roots are almost complete. Step 4. Spray them water very gently not to let them dry. Step 5. 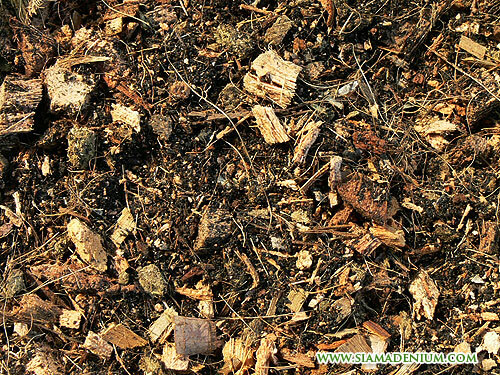 Soil preparation, I use the 3- month fermented soil with Fish remains, EM and molass. Step 6. 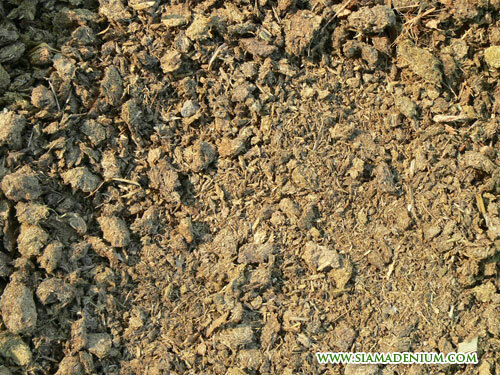 Dry cow manure, this is good for adenium seedling growing. Step 9. Put the coconut chunk in half of 4 inch pot. 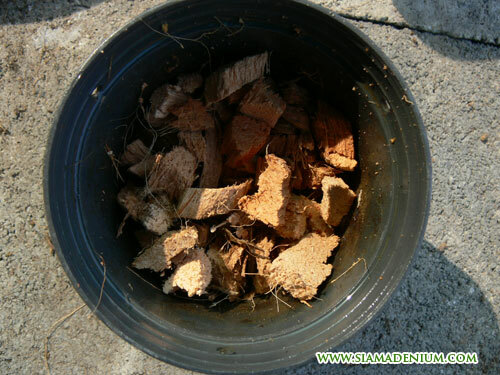 Coconut chunks will give more air to the roots and help water flow out of pot bottom better. Step 10. Putting the mixed media level up to pot border. Step 11. 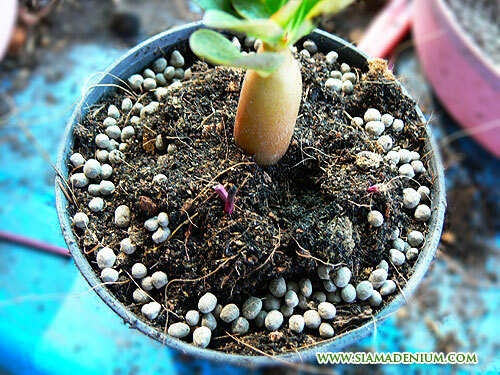 Put the baby seedlings on top of media very soft and try to expand the roots over media surface. This is the most important step to make root spread out. Step 12. Use the sticks to organize or lock the roots positions as you wish. This would help roots spread more, not messy growing. This is the most important step as I said above ""You can't teach an old dog new tricks." Step 13. Scatter the Fish Granular Fertilizer around the pot border. 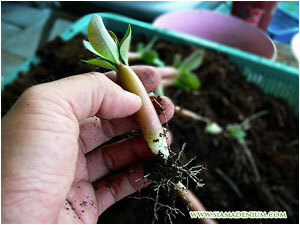 This would help root get longer and stronger to find it. Step 14. Cover it with media and water with Chitosan mixed with B1 Hormone until water flow out of the pot bottom. Then take it to outdoor with heavy sunlight. 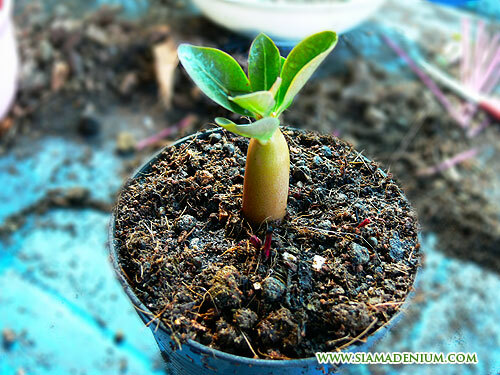 Adenium Baby Seedling with strong main and many fibrous roots. 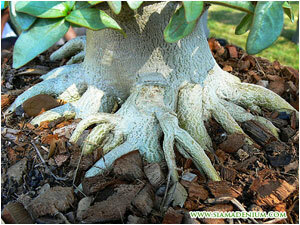 Not all adenium hybrids can perform spread root following with bonsai concept. 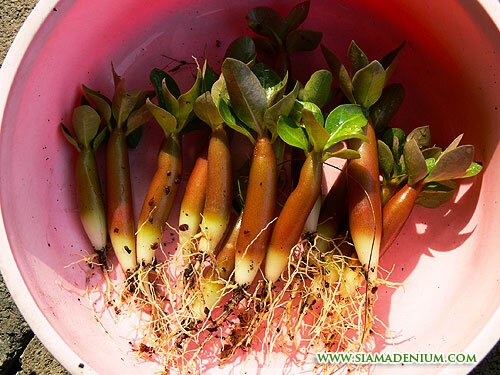 From my 7 years experiences, I have developed and found that Thai Socotranum and mixed hybrid Thai Socotranum x Arabicum can give much more spread root than other hybrids. 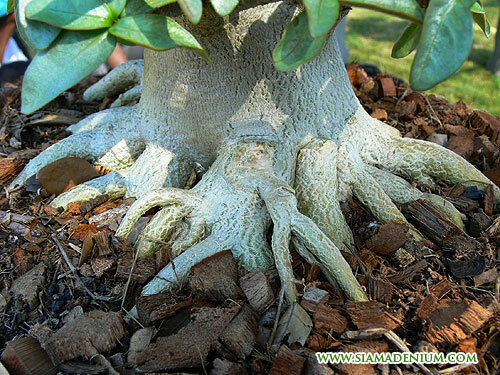 Arabicum itself hardly perform spread root because her nature is chubby caudex or tower style. Why do I use Arabicum mix with Thai Socotranum? 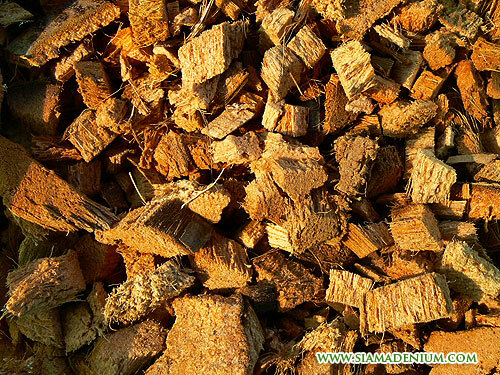 The reason is Arabicum can give the faster growth rate and better shorten caudex neck. 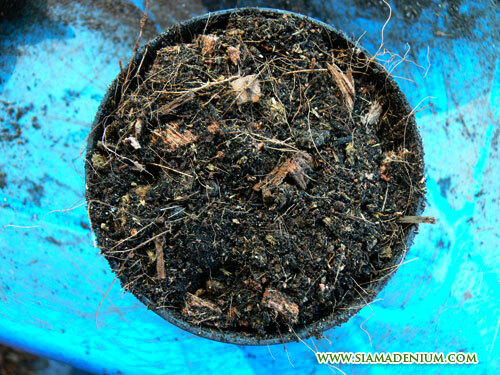 I concern with Fibrous Roots more than Main Root because they can search for the food better than main roots. 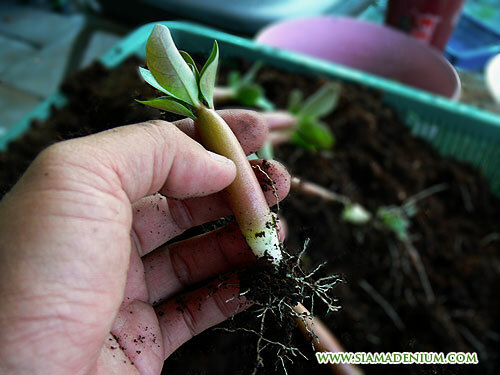 Sometimes, if I find some seedlings got few fibrous root, I will cut the main root to make her produce more fibrous roots. Oh! that's hurt!.. ha ha ha.. 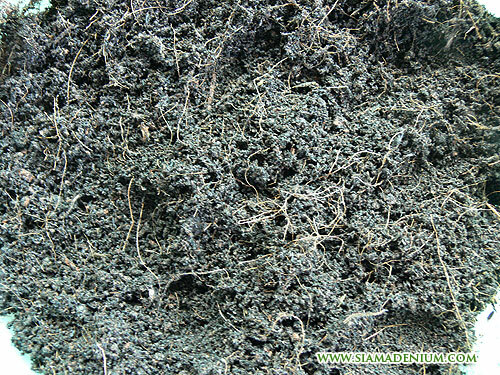 Fibrous roots themselves can be used for organization. That's why I need to make them grow bigger and get more spread. I have tried many ways to make them like that e.g. putting more fertilizer but it ain't work much. Please see the right photo for root growing. Maintain the Adenium to become Bonsai Character is very fun and not hard anymore. To make more roots is the hardest part. If you got few roots , how you're gonna organize them? 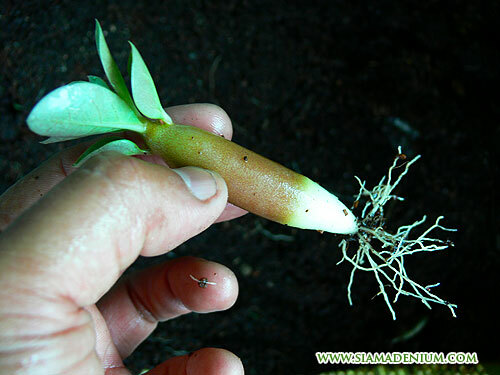 First you need to concern the hybrid, which hybrid can give more roots and then use this technique. Watering these baby seedling aged 1 month up with Chitosan plus B1 hormone once a week. Now seedlings are grown in tray. 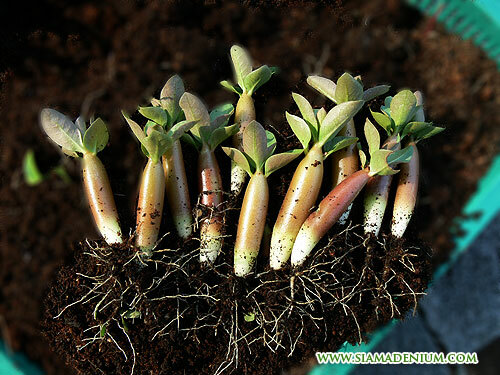 After one month later, you will see they will get much more roots ready to repot them to 4 inch pot. Then follow the steps above, very easy. his is what I also do on Adenium Obesum to produce many new adenium flower' varieties or flowers which now comes up with new Rosy Adenium is very popular all around the world. 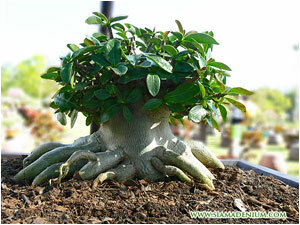 Most adenium lovers think that adenium are just caudex plant with their beautiful flowers. Now they can come up with new style with bonsai style. Unfortunately, most of adenium bonsai developing from Thai Socotranum or mixed hybrid (Thai Socotranum x Arabicum) gives mostly with pink flower tone. Now I have been trying to make them to give many colors. Of course, what I can do is to use Obesum hybrid with nice flower color to cross with them. 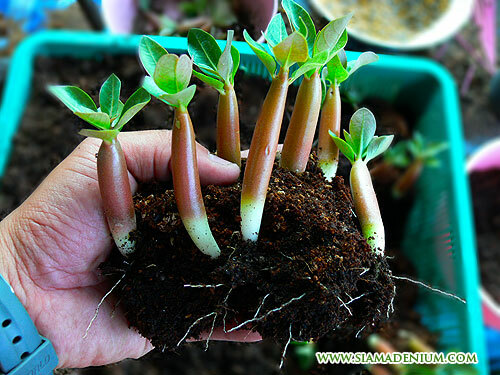 I hope some days, we can see Adenium Bonsai Seedling with many new colors. If you have questions or comments, please feel free to ask me via my email. Enjoy working on Adeniums and have a nice day.